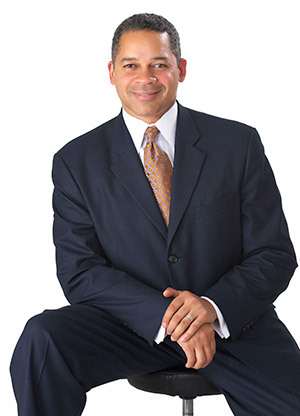 Dr. Dallas Lea is the principal partner of Lea Medical Partners, LLC and the medical director of Lea Medical Therapies in Silver Spring, Maryland. He is a highly respected leader in the field of spinal cord injury and spasticity management. He is also regarded as an expert in the use of Botox® for the treatment and management of spasticity caused by stroke, traumatic brain injury, spinal cord injury and multiple sclerosis. In addition, Dr. Lea is a pioneer in the use of advanced imaging technology in the performance of Botox® injections for spasticity. Dr. Lea has started spasticity programs at major institutions in Maryland, Washington, D.C. and Texas. He is also a specialist in the use of the intrathecal baclofen pump for spasticity management. His center, Lea Medical Therapies, has been selected to participate in the Adult Spasticity International Registry on Botox® Treatment Study (ASPIRE) and he acts as principal investigator. A sought after speaker and educator, Dr. Lea has trained more than 200 physicians in the U.S. and abroad in the use of ultrasound guided Botox® injections for spasticity management. He has also been involved in numerous research studies at major institutions including The National Institutes of Health and The University of Pittsburgh’s Falk Center. Research studies of which he was a partner in have been published in various journals including Biochemistry and The Journal of Biochemistry. Dr. Lea received his medical degree at the Medical College of Ohio and interned at the Lyndon B. Johnson General Hospital, a partner institution of the University of Texas Medical Center. He completed his residency in physical medicine and rehabilitation at the Baylor College of Medicine’s Institute for Research and Rehabilitation (TIRR). He also completed his postdoctoral fellowship in spinal cord injury medicine while at Baylor and is one of few physicians certified in spinal cord injury medicine and physical medicine and rehabilitation. He currently resides in Maryland.